It was a hot and humid Oklahoma day; the kind of sunny day that scorches even the burliest of kin folk. School had been out for three days and already boredom had begun to get the best of me. What could a 14 year-old boy possibly do with his time when he lived out in the middle of nowhere? I didn’t dare ask my pa, he had that answer down pat, “Chores!” Mama wasn’t much better, although she did follow up the job with a treat, usually a freshly baked slice of bread with butter and honey oozing off the edges. Little did I know that on Day four of summer break I was destined to have one of the most memorable moments of my life. We arrived at the ranch around nine and Billy was waiting outside the farmhouse. Aunt Jane came out and met us at the car and assured my parents they had nothing to fret about; we would all get along just fine. I watched as they drove down the hot and dusty dirt road, reveling in the reality of the day. I was here! With Billy! I had no experience with horses. Although Daddy had broken his share of broncos, he never wanted me around him breaking them. The sum total of my experience with horses was a miniature pony ride at the fair and riding the one that took quarters at the market. Mama said Daddy was too afraid of losing the one and only child they’d been able to bring into the world. So the closest I’d come to understanding horses came straight from the VCR. We had no cable but daddy’s friend had taped hundreds of hours of old television programs. The two we played the most were: “Mayberry RFD” and “Mr Ed.” I loved Mr Ed! We watched that talking horse over and over, until we could both imitate him perfectly! I dreamed of one day owning a horse just like Mr Ed! At the barn Billy informed me that we would be going on a trail ride. A trail ride! Wow! What a day this was turning out to be! Soon Billy introduced me to my companion – his name was Clyde. He didn’t look like Mr Ed, except for being a horse, but I was still excited. Billy saddled him up and took the time to go over the basics of what he was doing. We were riding with “the real cowboy saddles”; he called them “Western Style.” I learned how to put the blanket on the horse and then the saddle. I also learned how to put the bridle in the horse’s mouth. Billy wanted to show me how to command the horse, so he helped me mount Clyde. “Boy this is awesome!” I thought. But no sooner had I gotten seated and Billy handed me the reins when Clyde took off as if he had stolen something! I was terrified! He wasn’t just trotting or cantering, HE WAS RUNNING! I soon figured out what that horn on the saddle was for; it was for holding on for dear life! I thought I was surely goin’ to die! Clyde had taken off into a section of the ranch filled with remnants of rock walls and big huge boulders. He galloped and galloped and galloped. 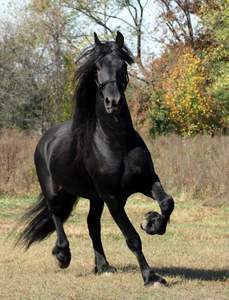 He galloped through a meadow, a cow pasture and across a dirt road. He went by farmhouses and gardens and even a low hanging tree or two. All the while I was bouncing off the saddle so high I wasn’t sure if I’d land on the saddle or Clyde’s hind end! Just when I thought it couldn’t get any scarier, I saw the rail fence ahead. It was not too high but it was still a fence. I knew this was my moment of truth. This was either going to be the most incredible thing I had ever lived through, or it was going to the cause of death listed in the newspaper. The headlines would read, “14 YEAR-OLD BOY KILLED BY MINATURE FENCE!” Humiliating. But right then I boldly decided that if my Pops could break wild broncos, I could survive this fence! I would gather up all my strength and I would hold onto that horn till the cows came home! Suddenly it felt really small. I remember thinking that they should have made it bigger or at least put two on there, one for each hand. And then it happened! We jumped the fence! Oh my goodness! I was still alive and in one piece! No sooner had we landed on the other side when Clyde stopped. Completely. He stood strong and tall while breathing heavily, sweat dripping off his nose and hide. I finally saw the reason for all this; the driving force for all that had just happened. Standing there was the prettiest filly in the whole wide world! One, if you’re flyin’ off your saddle, hang on. Two, if the road leads to a low hangin’ tree, duck. Three, when there’s nothing you can do about something, ride it out. Four, if you think you’ll never make it through, start to believe in yourself. Finally, never underestimate the power of love. It was the most important day of my life because even though Clyde the horse could not talk, his actions helped me grow from a boy into a man. And of course, Billy and I agreed; no one was going to tell my Daddy.